The Internet of Things (IoT) technologies have the potential to drive significant changes to organizations with new business solutions, creating new revenue streams, and improving business processes. 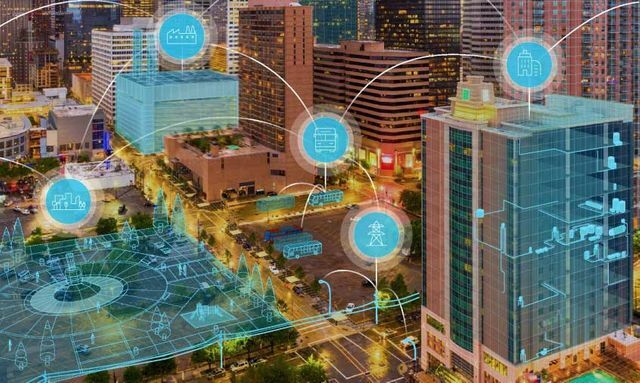 IoT solutions can provide insights to resolve problems before they impact the business, reduce operational costs, drive automation in business processes, and allow organizations to better manage their assets. With the announcement of Azure Digital Twins, Microsoft is making major changes to how IoT solutions are created and driving faster business benefits. The new capabilities in Azure Digital Twins has the potential to significantly alter how Industrial IoT (IIoT) solutions are created and delivered. For several years, most IoT solutions have included a feature known as a Device Twin. The Device Twin concept creates a digital (or software) representation of a physical device. A Device Twin can be used to manage the health of a device, plan and prepare firmware updates, and most importantly, create software applications that bring the IoT device and its data into business applications. In the Microsoft Azure ecosystem, the Azure IoT Hub service is the central tool for Device Twin management supporting millions of devices and complex applications. While Azure IoT Hub can support millions of devices and these complex applications, one of the core challenges for an organization adopting IoT technologies is moving past the “thing” and into an actual business application. When considering a factory or manufacturing facility, what is the value of an accelerometer on a crane? In and of itself, the accelerometer is only reporting movement and outlier movement can be used in planning safety and proper operational processes. But, the reason organizations are adopting IoT technologies is to address broader business scenarios and change how they operate. What if that accelerometer on the crane could become part of a comprehensive view of the factory including the physical facility space and the people found in that facility? And, what if these devices, physical spaces, and people could come together into new types of applications and reports? This is an essential promise of IoT and IIoT solutions. Microsoft’s Azure Digital Twins presents an opportunity to change how we view and consider IoT devices. The value of IoT is not in the actual device or sensor, but in solving complex business problems or driving new business opportunities. And, in these solutions, there are two major elements that are often missing – people and physical spaces. Creating and implementing an energy management IoT solution in a manufacturing facility can drive operational cost improvements. But the facility is much more than sensors – the actual physical space needs to be considered as well as the people moving throughout the facility. This is where Azure Digital Twins comes in. Azure Digital Twins allows us to create digital or software representations of physical spaces and people. Combining people and physical spaces with devices helps create a more complete vision and insight into the space. What makes Azure Digital Twins particularly powerful is the platform is built using graph technologies with a flexible object model and multitenant support. These capabilities let us uniquely model each physical location, integrate those physical locations into applications and services, and create the full view of the business solution. And, by building the Azure Digital Twin model first, each new “thing” deployed into the facility can immediately connect and be represented in the digital model of the facility. In addition, with the multitenant support, organizations can more easily create an “as-a-service” offering in which multiple organizations can access portions of the data and enhance their own IoT solutions. To explain the idea further, consider a manufacturing facility. An Azure Digital Twin could be created for the physical building. The Digital Twin could just be a graph / programming model representing specific spaces in the building. The Digital Twin could also include an actual 3D building model. Within that model, each section of the facility can be represented using business terms unique to that facility. And these 3D models can be combined with the graph and programming model of the facility. Then, all connected devices and sensors would become linked to the specific rooms or even people in the room. By understanding the people in the space and the physical space itself, insights and reporting can more easily be delivered. 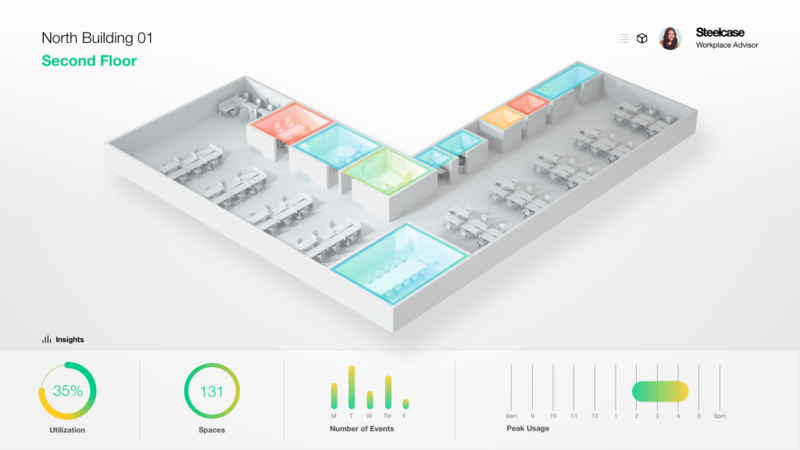 In an energy management solution within the factory, the Digital Twin would show a 3D model of the facility, individual rooms would show visual reporting of the state and health of the energy solutions deployed, and the people in the facility could be tracked to correlate people movement with energy consumption. All these factors could then be integrated into a business application or service that better manages cooling in the facility, airflow, or other energy services to improve operations and decrease the spend in the facility. The fundamental difference in building IoT and IIoT solutions with Azure Digital Twins is where the work begins. Rather than focusing on devices and “things”, work begins in better understanding the facilities, the people in those facilities, and business goals and strategies to improve operations. Business goals and objectives are then translated into the specific devices and sensors that will be deployed with all deployments being applied back against the business model and goals layered on the physical facility model. As business solutions are created and insights discovered, artificial intelligence and machine learning are used to create the next generation services and solutions that drive innovation. Microsoft’s Azure Digital Twins are now available in Preview and several companies are creating innovative and pioneering applications using the service. Azure Digital Twins is being integrated into the Hitachi Optimized Factory solution now to help bring the Digital Twin innovations into the Optimized Factory.